8x5mm. 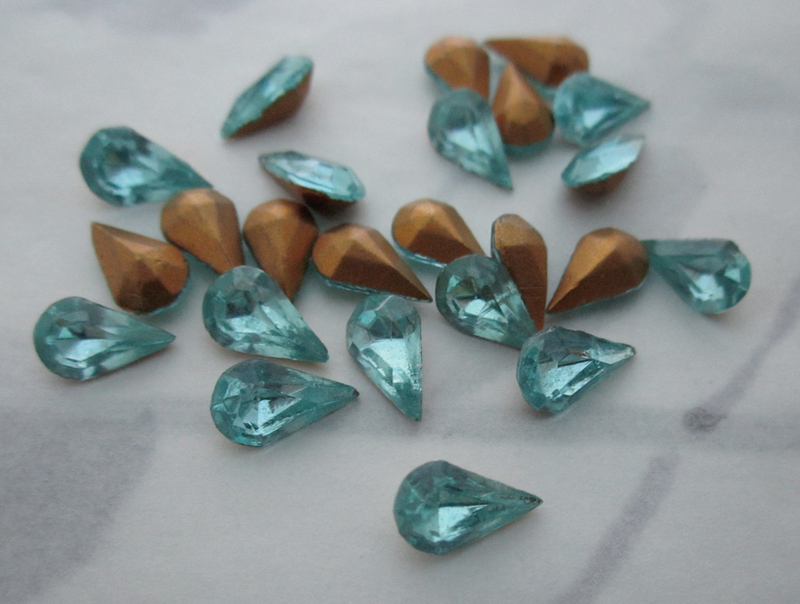 Vintage glass fire polished aqua blue foiled pear rhinestones from Czechoslovakia. New old stock. Jewelry supplies.